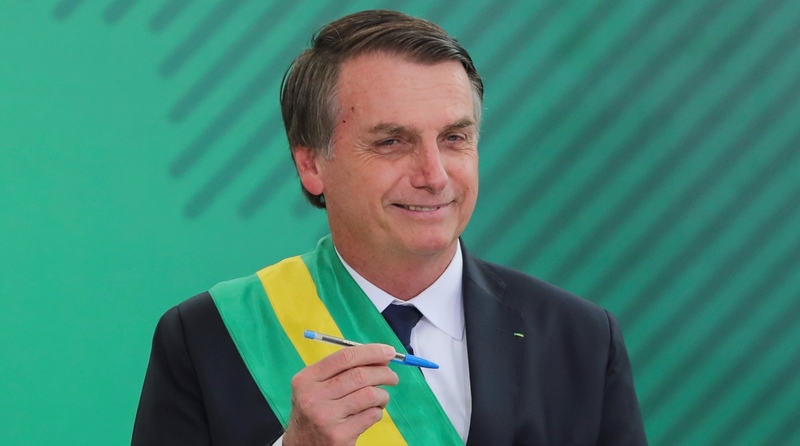 Far-right congressman Jair Bolsonaro has been sworn in as Brazil’s new President and he promised to build a “society without discrimination or division”. The 63-year-old former army captain in his inaugural speech on Tuesday talked about a “national pact” to free Brazil of corruption, crime and economic mismanagement, the BBC reported on Wednesday. After being sworn in in front of the Congress, Bolsonaro went on to the Planalto Palace where the outgoing President, Michel Temer, handed over the presidential sash. Speaking afterwards, he said Brazil would “start to free itself of socialism” and “political correctness”. US President Donald Trump commended him for his speech, saying the US was “with” him. Bolsonaro won the presidential election by a wide margin against Fernando Haddad of the left-wing Workers’ Party on October 28, 2018. Despite portraying himself as a political outsider during his campaign, Bolsonaro served seven terms in Brazil’s lower house of Congress, the Chamber of Deputies, before being elected President. He has been a member of several political parties but is currently in the Social Liberal Party.